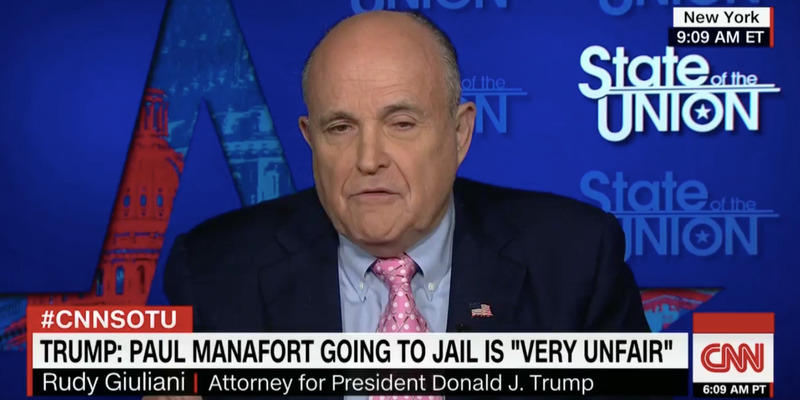 Screenshot via CNNRudy Giuliani said the Russia investigation should be investigated. Rudy Giuliani, top attorney for President Donald Trump, said on Sunday that Trump won’t issue any pardons in the special counsel Robert Mueller’s investigation, but could after the probe is over. Giuliani said Trump would look into those who were treated “unfairly” in the investigation. Trump’s former campaign chairman Paul Manafort was sent to jail last week to await trial on more than 20 charges as part of the special counsel’s probe. Rudy Giuliani, personal attorney for President Donald Trump, said on Sunday that Trump isn’t issuing any pardons in the special counsel Robert Mueller’s investigation, but could after the probe was closed. “The president is not going to issue pardons in this investigation,” Giuliani told host Jake Tapper before he echoed Trump’s characterization of the investigation, calling it “extremely unfair”. Giuliani also doubled down on suggesting the investigation had shaky origins and his previous remarks that it should be shut down – and suggested it should be investigated. He went on to say that pardons weren’t out of the picture, but would have to wait until the investigation was over. Sen. Susan Collins of Maine said on CBS’ “Face the Nation” that she thought it was helpful Giuliani has recommended against pardons. 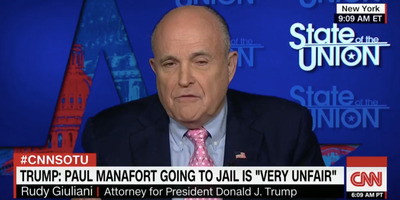 Giuliani’s remarks come two days after Trump’s former campaign chairman Paul Manafort was sent to jail to await trial on more than 20 charges as part of the special counsel’s probe.